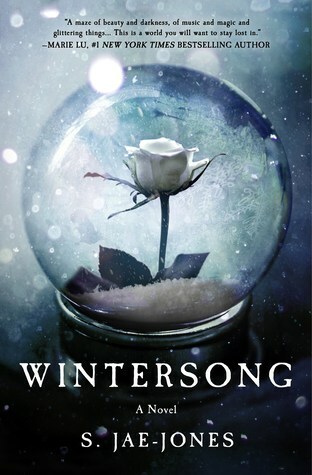 The Review: As soon as I heard about Wintersong by S. Jae-Jones I pre-ordered it straight away. If I’m honest that’s not me at all. I very rarely pre-order debut books until I start hearing some hype from bloggers who received advanced copies, however I read the blurb of this story and just knew that I had to read this book. Wintersong is about a young girl named Lisel who has to hide her musical talent from her family but yet there is one person who loves to hear Lisel play, someone from her past who she has tried to forget but that person can’t forget her – The Goblin King. Deep in the woods and underground The Goblin King lives and he will do anything to have Lisel – even if that means taking away one of the people she loves most, her sister. Lisel will do anything to get her sister back and away from the goblins and The Goblin King but that means she may have to sacrifice herself. You know when you start reading a book and you just don’t want to put it down? That’s how I felt while reading Wintersong. It was impossible to put down and I fell in love with the story from the very start. The story is simply written so beautifully and it’s such a magical read that is mysterious and spell-binding. And the music aspect was such a beautiful touch that made me enjoy it all the more. The characters were simply fantastic. They weren’t perfect and had their faults but no-one is perfect and so I forgave them when they made mistakes. I just loved the characters, every minute they were together was nail-biting and nerve-racking but so beautiful too. I loved that they could connect through music when they couldn’t or wouldn’t always put their feelings into words. It just made for a very beautiful read! I hear the story is being compared to a Hades and Persephone re-telling or a Labyrinth re-telling which doesn’t bother me at all because this book could have been a re-telling of any kind and I still would have looked this book. It is its own book, no matter where the inspiration came from to write it, so before you read try and keep an open mind and I’m sure you’ll love it. By the time I’d finished the book my emotions were all over the place. That ending? Talk about a cliff-hanger but I’m so glad the author is writing another book because I wouldn’t have been happy had that been the end of the story. In all Wintersong is a fantastic read and dare I say my favourite read of 2017 so far! Now because I loved this story so much, I have teamed up with Bookworm Candles and Crafts to provide you with a little giveaway. Once I finished this book I immediately went to Danielle and started plowing her with ideas for candles to make. In the end we decided on The Goblin Grove location candle. The Goblin Grove is a key feature throughout the book and a fantastic location to get lost in. This candle smells like alder circle, woven music and sweet ripe fruit. This beautiful candle represents everything this magical book has to offer, from the circle of alder trees in The Goblin Grove, to the music being played by the characters and most importantly to that moment that Liesl’s sister eats the juicy ripe peaches that starts the whole story in motion! This candle has been newly added to Bookworm Candles and Craft store and added to her Location candle range and today we are offering three winners a 2oz sample candle of The Goblin Grove. So if you loved this book or even if it’s new to you, then feel free to enter! And it's international! Gabriel Merrick plays with fire. Literally. Sometimes he can even control it. And sometimes he can't. Gabriel has always had his brothers to rely on, especially his twin, Nick. But when an arsonist starts wreaking havoc on their town, all the signs point to Gabriel. Only he's not doing it. And no one seems to believe him. 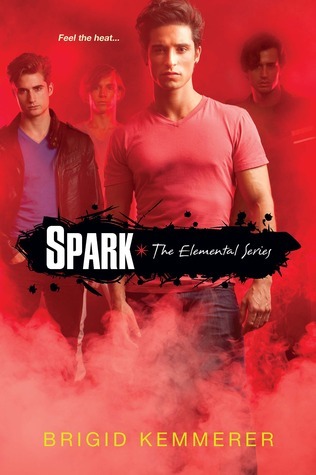 The Review: Spark is the second book in Brigid Kemmerer’s Elemental series and I’m so glad I decided to carry out with this series. It’s been too long since I have been able to dive into a series and not want to put it down. Each book features a different character and this time it’s another Merrick brother – Gabriel. Gabriel has an affinity to Fire, he can start them but learning control is hard for him. Sometimes his element likes to play but other times it likes to take over and as everyone knows fire is catching so it’s a very dangerous thing to play with. I really liked getting to know Gabriel more. In Storm he was very much the fun brother who doesn’t hold back what he wants to say, however as you read Spark you start to see that under his tough guy exterior he’s actually struggling with a lot issues – the loss of his parents and the guilt he feels over it, he feels stupid for not being able to pass math without the help of his twin brother Nick and also he actually feels pretty alone. He hasn’t got a lot of close friends nor has he got a girlfriend so when his brother’s start pairing off, he struggles with his loneliness and his guilt for his issues causes him to argue with everyone close to him. Then there is also the fact that someone is starting fires in the neighbourhood and Gabriel is suspect number one. Gabriel’s story is a sad one just because he’s dealing with so much but I still enjoyed every minute of his journey. The bright spot in this story is Layne who does become Gabriel’s love interest. She is a great character to get to know but she is also dealing with her own issues which vary from parental problems, to having a deaf brother who is being bullied at school and then finally to Lanie being hurt from a young age and dealing with the after effects of that. The author tackles all of these issues very well and as a reader you can see why there are so many obstacles in the characters life – it’s for them to grow and to become stronger characters but it’s also eye opening to readers to some of the real day to day issues some people deal with and as I said, the author tackles this well and it honestly made for great reading. I love the whole element aspect of the story. Being able to control either fire, water, air or earth has always been interesting to me and I’m enjoying exploring it with this story. I’m honestly not sure which brother or which element I like more! Hopefully I’ll be able to answer that by the end of the series. As the series progresses you can see trouble brewing for the Merrick brothers and the people attached to them. The story is around someone starting local fires but there is a lot more to it. The Merrick brothers have to keep a low profile to not draw attention to themselves or they could be killed – so yeah, this is definitely one read you’ll burn straight through. Now the big question for you readers – what element would you like to control?